To climb the social ladder here at Capital, the Chimes has decided to transition into a fraternal organization. The IFCN (the Interfraternity Council of Nonsense) has recognized Chi Mu as a totally legitimate organization on campus. Chi Mu has promised to recycle all red cups and empty bottles at the end of every weekend. Though the Chimes has entered into the world of Greek life, a paper will still be released, but just on occasion. Probably when reporters actually manage to get stories in on time, which was already a problem to begin with. In order to join the fraternity, new members have to go through a rigorous training course that involves common things such as barbed wire, liquid nitrogen, inflatables, and AP style writing. Those that make it through the gauntlet are in for a semester of fun activities. One activity is called “the Dark Room.” Members are locked in room for an extended period of time and are required to come up with at least 20 potential story ideas for the next issue. No food or water is available until after they have come up with ideas. Sounds fun, right? A popular party game that Chi Mu does is called “AP Tipsy.” The game challenges players to spot AP grammatical errors in excerpts from various news articles. If the player fails to spot all the errors, they have to take a shot of liquor. Outside of fun and games though, members are expected to show up to all social gatherings and constantly promote Chi Mu on their social media pages. Right now, the team is currently in the process of securing a house on Sheridan Avenue that will serve as a main hub of partying for members. 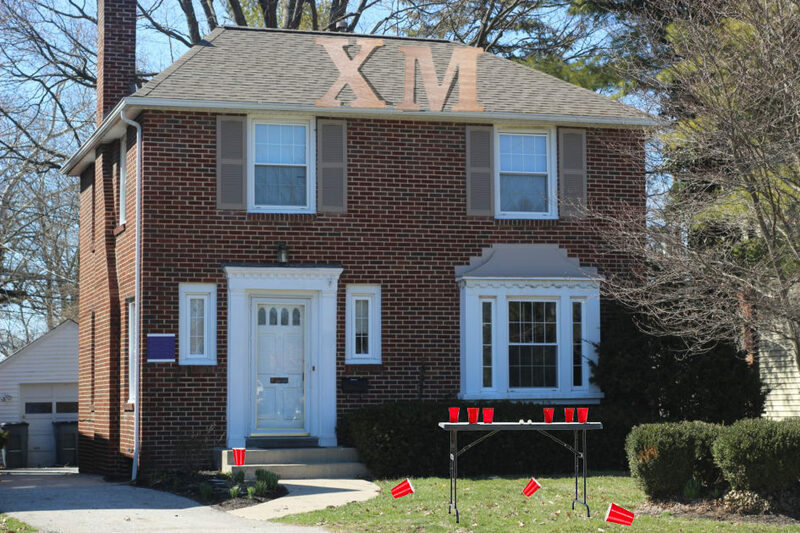 On the topic of partying, rumors have been surfacing around campus that a block party of record-breaking proportions is currently in the planning stage. Some students around campus have “chimed” in on this, such as Alexis Pinto, junior. “Apparently, this party that Chi Mu is trying to put together will make Cap Crawl look like a small family get-together,” Pinto said. “If what I heard is true, this party can make history not just here, but in the entire state of Ohio,” Salisbury Montague, sophomore, said. In response to chatter like this, Carr provided a vague, yet possible confirmation. “Sometimes, in order to report on news, you have to make the news,” she said. Not everyone holds the highest expectations towards Chi Mu’s ability to rise through the ranks of Greek life though. One such person is Chad Brawn, senior. An unlikely person spoke out in favor of all this business concerning Chi Mu.